Classroom management is the key to teaching well. You will never be able to teach a class that you cannot manage! And establishing consistent routines that your students can count on is the very best way that I know of to teach well. Routines provide a basic structure for the day, and once they are established, both children and teachers tend to feel less stress because everyone knows what is coming next! I always felt that having consistent routines established made making lesson plans really EASY, too. I knew which activities would be likely to "fit" into which time slots during my day, and how to transition from one activity to another. Once I had planned and prepped my lessons and activities, the rest was easy. All I had to do was set them up after school and I could go home and (hopefully!) relax, knowing that the next day would go well. 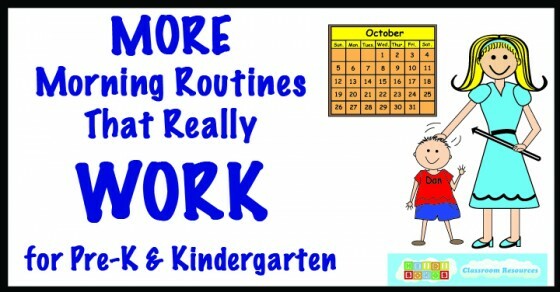 I wrote a post in 2012 called "Morning Routines That Really Work for Pre-K and Kindergarten," which consistently gets many views. 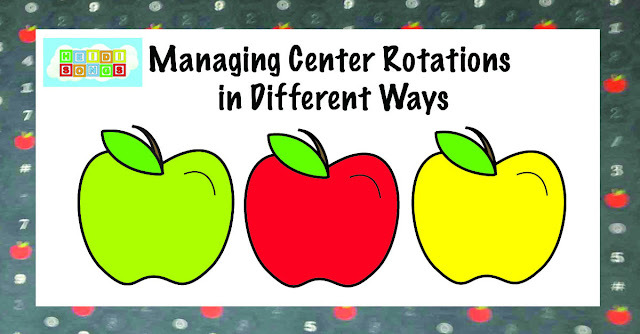 I think the reason why is because in this post, I thoroughly describe my classroom management routines for the morning. However, I recently came upon some video footage I took of my class that actually SHOWS you how I did some of these things with a real class! So I asked our video editor Connor Smith to add some captions for us and post them on YouTube so that these morning routines would be further clarified. If you remember that post, you'll know that I mentioned a few of these routines before. But it's been two years since I posted it, so maybe another mention isn't a bad thing! You may be interested to know that Connor Smith, one of our video editors, is ALSO the young man in our Hexagon video on YouTube above! Our HeidiSongs staff is multi-talented! He and his pal Desmond Clark also wrote several of our new Nursery Rhymes songs as well! Connor also sings on our CD's AND he is the male voice of the "caller" or the "teacher's voice" that you will hear on so many of our CD's and DVD's now, too, most notably in the Word Family Songs. The video clip below was taken on the LAST DAY OF SCHOOL a couple of years ago, and it was "Pirate Day!" However, the children were still doing great, and the class settled right into their regular routine. This song is on our HeidiSongs Classroom Management CD/DVD, and can also be purchased on iTunes. 3. Red, White, and Blue Marching Song! 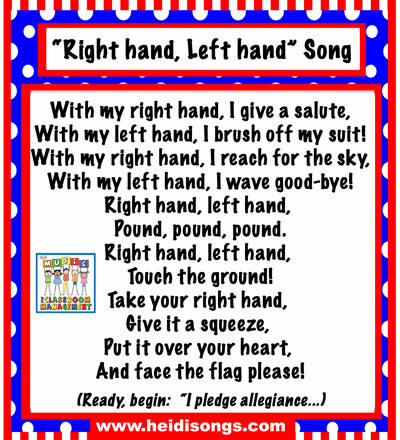 Once we finish our flag salute, we start right in singing our "Red, White, and Blue" song that is also on the Classroom Management CD/DVD. Okay, pretty much ALL of these songs are from this CD! But I suggest that once you have them memorized, it may be easier to just sing them yourself, without any CD or DVD. That's the most efficient way, unless you make a playlist and have them all ready to go on an mp3 player. 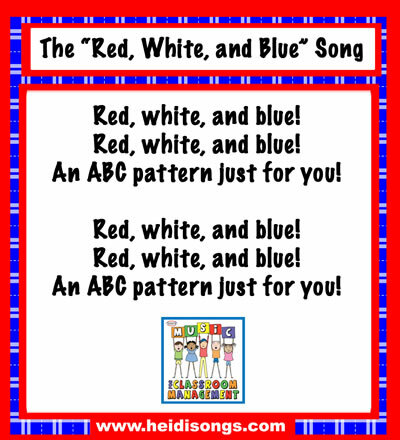 I like this song because it reminds the children that our American Flag has the colors red, white, and blue on it, and that they make an ABC pattern. 4. 1, 2, 3, Sit! I have a signal to have my students sit that I have always used. Any signal will work, but the one I adopted years ago is this: I count to three out loud, showing my fingers as I go, and the children all sit (some jump and sit!) when I get to three. I love it because I can even do it silently, and just mouth, "One, two, three!" 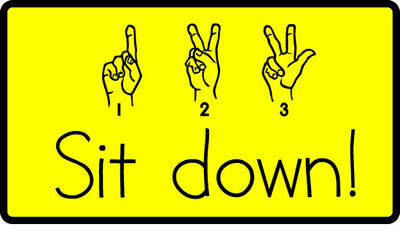 while showing my fingers, and the whole class will sit- even at assemblies, or outside- ANYWHERE! It really helps. Once everyone is seated, I immediately start chanting my "Criss Cross, Applesauce" chant that I made up one day "on the fly" as I was teaching!" It helps remind the children of how I would like them to sit. Here are the motions for the Criss Cross Applesauce chant, which is on the Classroom Management CD/DVD, and on iTunes. Each teacher probably falls into their own individual calendar routines! I used to always start with having the children sing the Days of the Week song and eventually the Months of the Year song, too! (yup, we have one of each on that same Classroom Management CD/DVD!) I never sang them BOTH every day due to lack of time, of course. Also, it's just not necessary to sing both of them every single day! But after that, we updated our calendar and all of the things that go with it each day. One thing that I try to ALWAYS do is keep my students both physically and verbally engaged while I am giving directions or give a lesson, at least as much as possible. That means that I had them singing or chanting along with me and doing the movements along with me as I gave directions, but with the children still seated. Here are the motions for the Cutting/Scissors Song. 2. 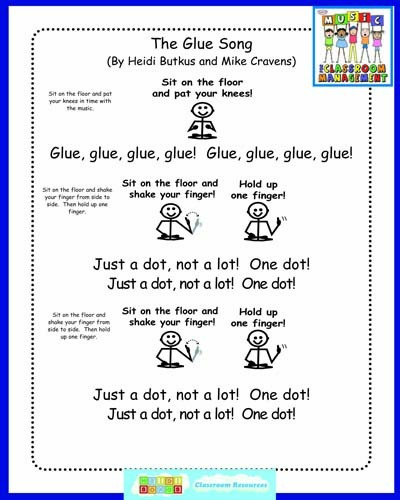 While I am gluing something, we will sing the Glue Song. Here are the motions for the Glue Song. 3. If I am still working on something while they are watching, I'll have the children sing the color song related to what I am holding. Example: if I'm using a piece of black paper, we'll sing the Black color word song. (See video above.) 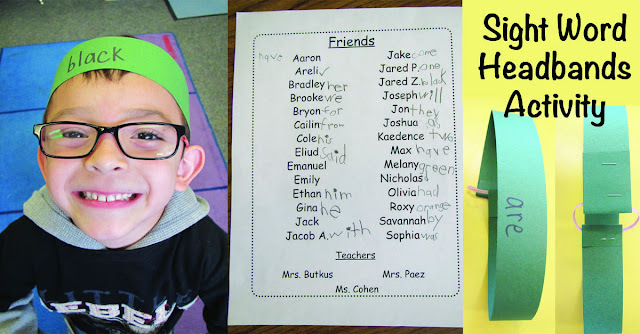 Here is an example of our Green Color Word song below. There are many more routines that I use, but that is all I am going to cover today! 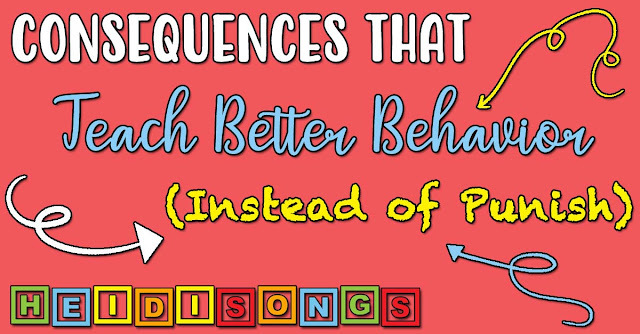 All of the words and motions for the entire set of Classroom Management songs are free to download right here (or of course you could get it on DVD and just watch me DO them, LOL! ).